Make your holiday meal an easier one by ordering a Prime Rib Feast from Mickey Mantle’s Steakhouse! Available now through the end of 2015, Mickey Mantle’s is offering both Prime Rib and a Prime Rib Feast. Our Prime Rib is 11-13 pound Mesquite Smoked or Slow Roasted loin accompanied with thick Au Jus & Creamy Horseradish. Priced at $250 and can accommodate 12-14 guests. Make it a feast! If you don’t feel like cooking at all, Mickey Mantle’s Prime Rib Feast is just what you need for the perfect holiday meal. Priced at $300 which includes the Prime Rib loin, delicious Mashed Potatoes, Fresh Green Beans, House Salad with choice of dressing, and Chocolate Chip Pumpkin Bread Pudding. Order it to be picked up hot or cold with easy to understand reheating instructions and enjoy the holiday with minimal preparation and cleaning. If you have more guests to accommodate, please inquire about additional pricing per person. 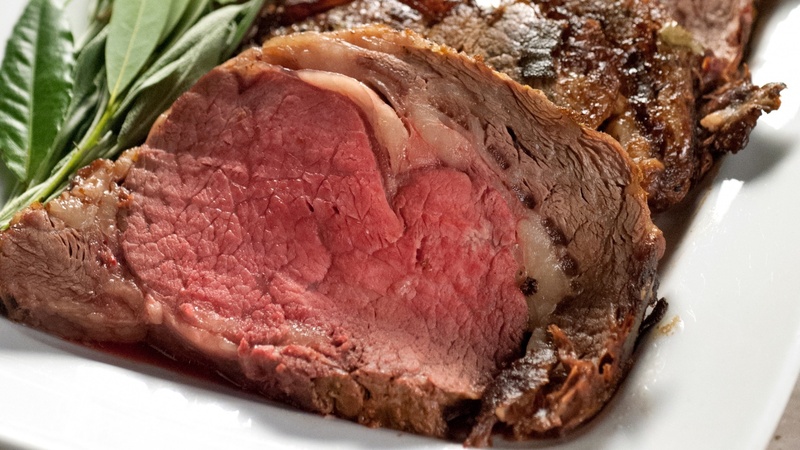 The Prime Rib or the Prime Rib Feast will be available for in-store pick up 48 hours after the order is placed. Payment will be due upon the placement of your order. Please call Mickey Mantle’s Steakhouse for available pick up times and also be aware that the Prime Rib will not be available for pickup of Thanksgiving Day or Christmas Day. Whether you’re planning an intimate gathering or a formal celebration, let Mickey Mantle’s Steakhouse take the hassle out of your holiday. Call us at (405) 272-0777 to pre-order your Prime Rib Feast today!